This Antarctic Beech has leaves that are small and heart shaped, they have a glossy and almost crispy appearance to them giving them the look of an evergreen, however it is a deciduous tree. Throughout the summer time the glossy green leaves turn golden yellow. The bark is dark in colour and covered in small creamy white lines called lenticels. 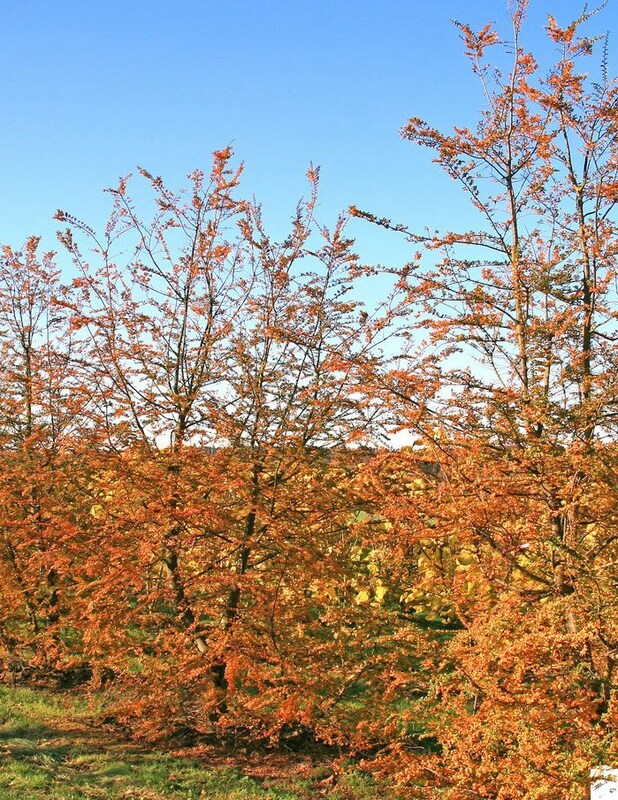 Nothofagus antarctica needs to grow in fertile, lime-free, moist but well-drained soil in full sun.